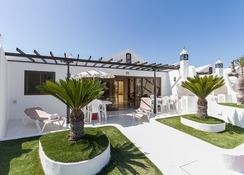 The Sands Beach Resort in Costa Teguise, Lanzarote is a self-catering aparthotel for families and solo travellers. 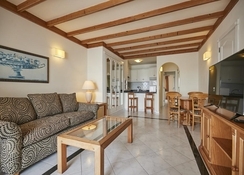 With rooms overlooking tall palm trees, this property guarantees you a quiet and tranquil holiday by the beach. The rooms are equipped with all modern amenities to help you enjoy a pleasant stay. There are two restaurants at the hotel to cater to the guests. For adventure and sports lovers, the Sands Beach Resort facilitates activities such as wind surfing and kite boarding. Besides, the hotel also has a rejuvenating spa. 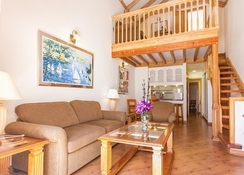 The hotel is about 16 km from the Lanzarote Airport. At a short distance away from the beach, the resort has got a couple of bars and restaurants in its neighbourhood as well. The Sands Beach Resort is well connected by roads from all sides. 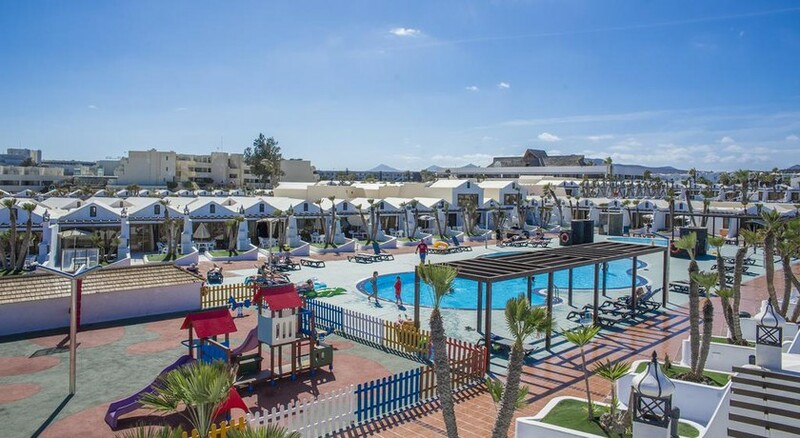 It is located at a distance of 16 km from Lanzarote Airport, while Fuerteventura Airport is 72 km from the hotel. 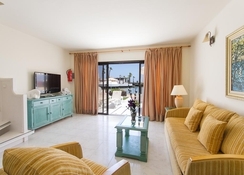 The rooms of the Sands Beach Resort guarantee you the best views coupled with modern amenities. Each room comes with a sofa, armchairs and a dining table. 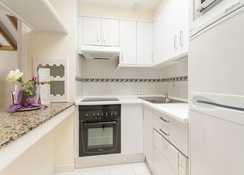 Each of the rooms has a well-equipped kitchenette with microwave, a fridge, and other cutleries. The bedrooms feature double and single beds with satellite TVs in the adjacent living rooms. La Hacienda and Mai Tai Pool Bar & Restaurant are the two restaurants of the Sands Beach Resort that serve delicious food and fabulous drinks. La Hacienda serves breakfast and dinner buffets at 7 am and 6:30 pm respectively. At the Sands Beach Resort, you can order pizza from your apartment room as well. The Mai Tai Pool Bar, set up against a fantastic pool serves snacks and drinks from 9 am to 10:30 pm. For sports lovers, the bar also has a satellite television for live telecasts of sporting events. Windsurfing, kiteboarding, paddling, hiking, scuba diving, cycling and a wide range of other sports feature in the list of sports and entertainment activities of the Sands Beach Resort. Besides, the in-house spa offers wellness and beauty treatments.